Organizations today are undertaking tremendous digital transformations. They are adopting new technologies to identify new marketplace opportunities, enhance the customer experience, increase internal efficiencies and more. 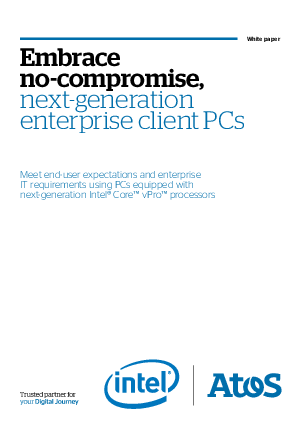 Meet end- user expectations and enterprise IT requirements using PCs equipped with next- generation Intel Core vPro processors.